“Well, I don’t know,” said the soldier. Much like The King of Pizza, this book begins with a monarch that loves food but is never satisfied with it. And once again, after some twists and turns, everyone ends up happy (including the kids it is read to). The illustrations, by Ms. Hyman, are very good and particularly interesting when you compare them to her later (much more detailed) illustrations for Saint George and the Dragon. 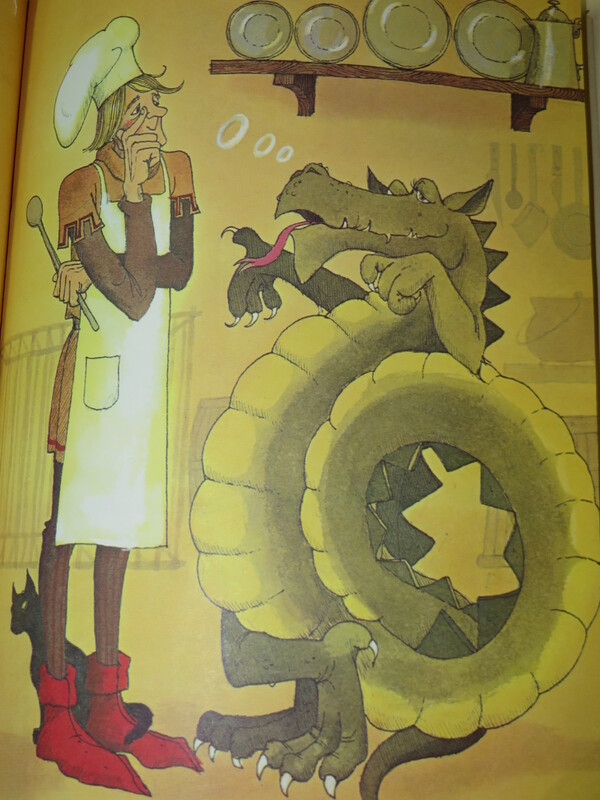 This entry was posted in Picture Books and tagged Animals, Dragon Stew, fairy tale, food, I read this as a kid, out of print, Saint George and the Dragon, The King of Pizza, Tom McGowen, Trina Schart Hyman. Bookmark the permalink.